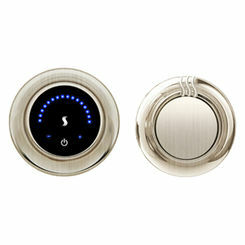 There's no better way to start your day than taking a relaxing shower at your desired steam shower temperature. You will surely enjoy every drop of water because achieving the shower temperature of your choice is made easy with just a touch of a button. This MTT-NTS-SN Traditional MicroTouch kit manufactured by Thermasol ensures easy operation; thanks to its Capacitive Touch Technology. With this technology, you have the power to control the temperature. 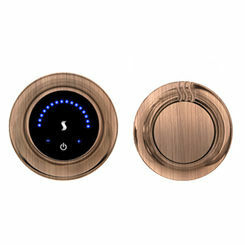 The same technology allows you to turn the system on and off with just a touch. 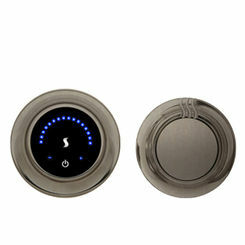 Most importantly, it has the ability to remember your prior temperature setting. Equipped with the auto PowerFlush cleaning system, this MicroTouch kit is sure to help you save money for installation because plumbing it to a drain is not needed. Moreover, your generator will exceed its estimated life span. This Thermasol control kit is equipped with a built-in Infrared Temperature Sensor (ITS), which makes this product user-friendly and convenient to use. You should use this Thermasol MTT-NTS-SN with the Solitude Wireless Module (WiFi) to access all available diagnostic and maintenance features of ThermaSol products. This MicroTouch steam control comes with a Traditional edge steam head that furnishes steam carefully and equally (360 degrees). It features an essential aromatherapy well and operates silently. This Thermasol MTT-NTS-SN steam control with a steam head comes in a satin nickel finish and is available in 13 different finishes to better suit your style. Please check the specification sheet for further information. 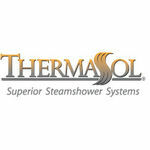 Since 1958, Thermasol has given thousands of households a day-to-day spa-like experience. They continue to flourish and produce products that make them the limelight of the industry. Shipping Dimensions 9.0" x 3.0" x 10.5"